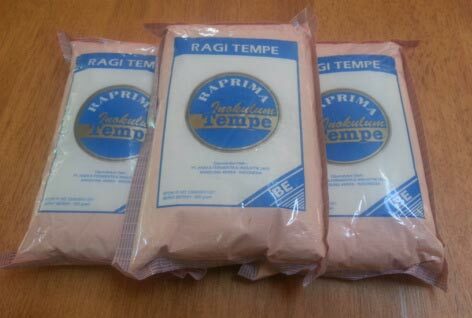 Raprima tempeh starter is a rice flour based tempeh starter inoculated with Rhizopus Oligosporus, produced in a controlled, totally safe environment and regularly tested. Our starter is suitable to be used to make most types of tempeh, including soy tempeh, chickpea tempeh, rice tempeh, barley tempeh and any of the pulses and seeds. It is NON GMO and animal product free so its totally safe to be used in vegan and vegetarian cooking. It is daily used by more than 250.000 tempeh producers in Indonesia and thousands of international tempeh producers. Ordering tempeh starter is like making tempeh, it takes time, slow mail is the most economical option. It can bring down the cost of your starter to $ 0.02 per kg of tempeh… To meet the minimum postal charges of POS Indonesia, we can ship up to 4 x 500 gram before the price goes up,if you want less you need to use express post. All costs in your order are inclusive of the starter, door to door shipping, tracking nr and lab tests. Any questions? Contact us for an express post quotation for less than 4 x 500 gram or for a different weight quotation. Send us an email for your order, your browser is not compatible. Is your country not listed above? Please request a quotation for your country. By placing an order you agree and accept the terms and conditions. We sell only factory sealed packages of 500 gram. We don’t re-pack into smaller volumes. For smaller volumes we would like to refer to: Margaret River Tempeh Shop. Orders over 10 kg will be billed at $US 10 per 500 gram. Contact us for this. To give you extra peace of mind, we test every batch that we sell. This means that we supply the documents you need and are accepted by most health departments that your starter is free from salmonella and NON GMO, with all orders, stating batch number and expiry date. We Use EMS (Express Merchant Shipping) delivered to your door in about 5/9 days, depending on your country. Excluding time at customs, who will need to check the contents. You can also choose slow mail which can take between 30 and 70 days, depending on your country. All orders come with a tracking number so you can track the progress of your shipment on our live tracking page supplied by Pos Indonesia. You can find in your personal comfirmation email or on the bottom of the order page. Contact us if you can not find your country or quantity of starter in our easy order box. You can track your order here http://ems.posindonesia.co.id/. Don’t forget to make sure the shipping address is correct and supply us with a telephone number, we need this for the shipping documents. We won't pass on your details to any third party. 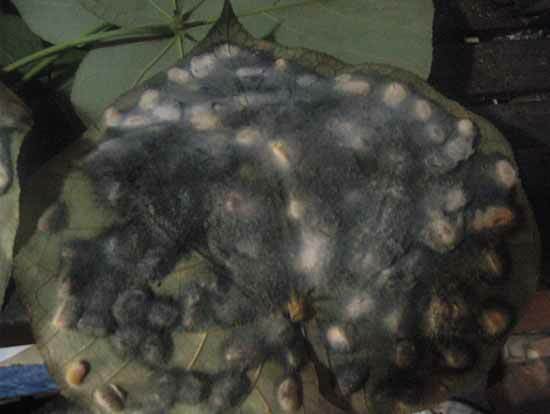 This starter was developed as a project at the LIPI institute in Bandung/Java/Indonesia. It was a response to a need for a reliable, successful tempeh starter. 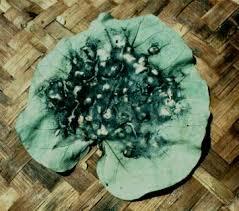 Until then the traditional tempeh maker would use homemade starters or traditonal starter made on the leaf of daun Waru. All of these starters required great skill and experience to use and often resulted in failed tempeh. At the LIPI institute they developed the new starter using the most successful natural strains available and the result was the birth of what was to become Raprima Tempeh starter. The formula and rights were bought from LIPI and are the basis for the production of Raprima tempeh starter. The factory is based in Bandung and meets all strict the government regulations for the production of food-grade ingredients. It is subject to regular inspections and testing by the relevant government departments. It is now used daily all over Indonesia and distributed worldwide by us.